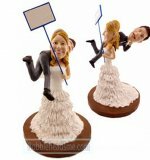 Hand in hand,this custom wedding couple depicts groom wearing a black suit with a blue tie and his bride who wearing a white long fluffy dress. 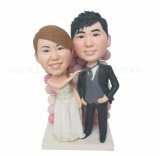 Details like flower on the groom’s chest is exquisitely carved by the light handed artists. 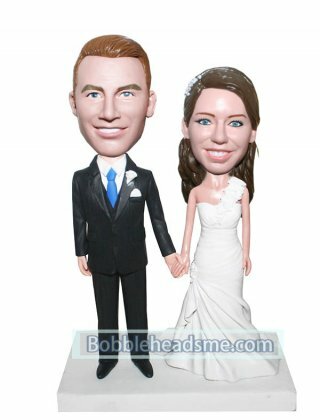 If you make it as your personalized wedding cake topper, it will be a big hit in the wedding ceremony.